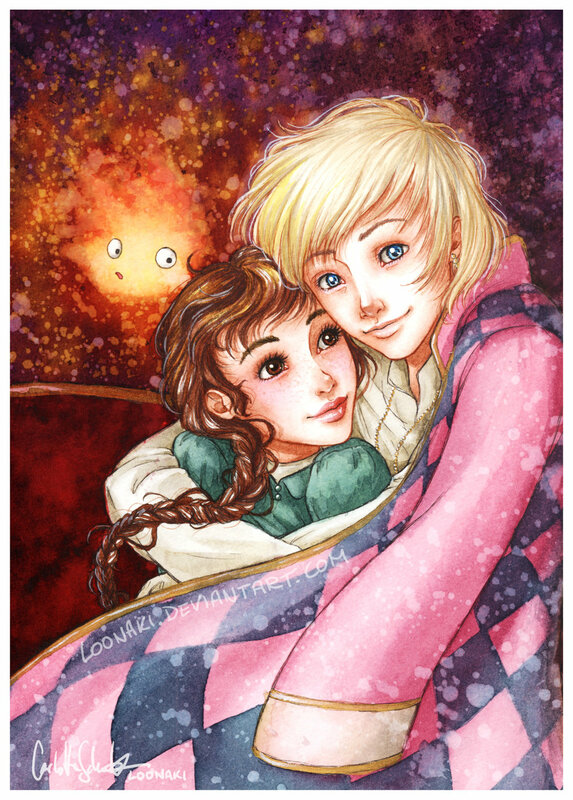 Howl and Sophie. Howl's Moving 城堡. HD Wallpaper and background images in the Howl and Sophie club tagged: howls moving castle howl sophie hayao miyazaki 2004 animated film. This Howl and Sophie fan art might contain 动漫, 漫画书, 漫画, 卡通, and 漫画卡通.